From deep in the archives comes this treat for the aspiring parallel reality specialists. This fascinating, in-depth exploration is a primer for those who are curious about the mechanics of the multiverse and how they might navigate it. 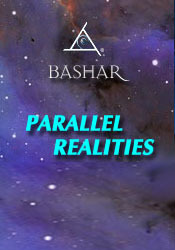 Bashar discusses how we may perceive parallel realities within a linear-time framework. He gave a diagram with this session to simplify the idea, which can then be expanded as our understanding grows. Bashar often goes in an unexpected direction with his explanations. This time he clarifies how this concept revolves around our understanding of limitations and how we may use them to our advantage. This is the sort of session to listen to several times, complex and multi-layered.